Olives are ready to be harvested in October and November. In early October, farmers pick them for eating. Now, at the end of October and into November, they pick them to make olive oil. 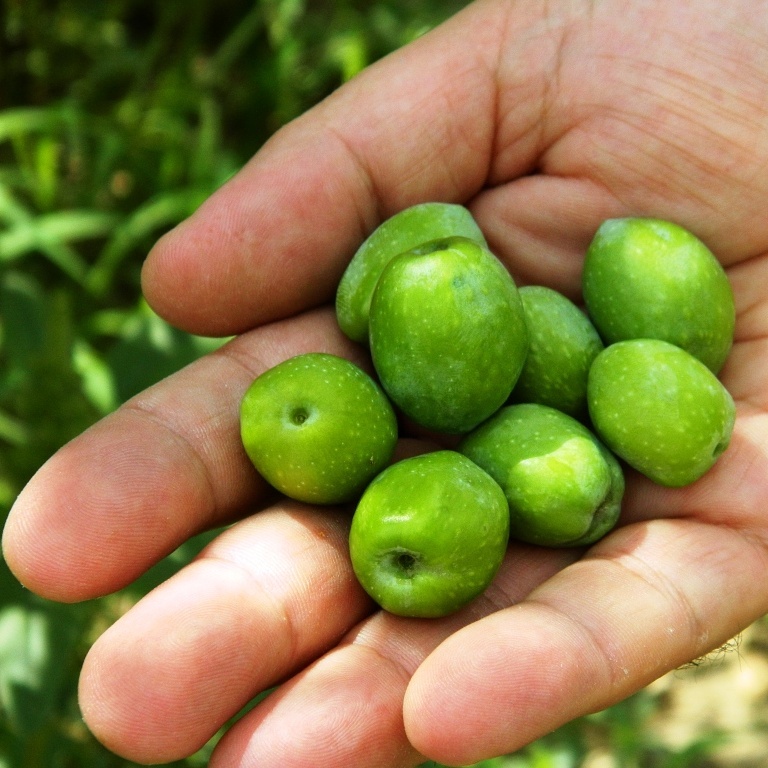 These beautiful Nocellara del Belice variety of olives from Castelvetrano are picked by hand in order to best preserve the integrity of the fruit, also known as the drupe. At Case di Latomie, where they make organically certified Olio Centonze olive oil (imported to the US by Gelsomino Imports, LLC), the olives are pressed into oil within 24 hours of them being harvested from the trees. Talk about first cold pressed, extra virgin! Next year, do you want to participate in the harvest? We at Experience Sicily can arrange for you to do so! A hand full of treasure. You bring Sicily alive with these wonderful narratives and photos! Thank you! Thank you Claire! That is my hope!